For the budget conscious travelers or the backpackers that wants better than other backpackers accommodation. at least 10 days before your check-in date. Otherwise, it will be automatically cancel or changed without prior notice. 3, Walk towards the main street in front of the hotel. 4. Turn left and along the main street, Go down 40 meters towards the 2nd crossing. 5. Cross the street at the 2nd crossing and walk into the narrow alley. 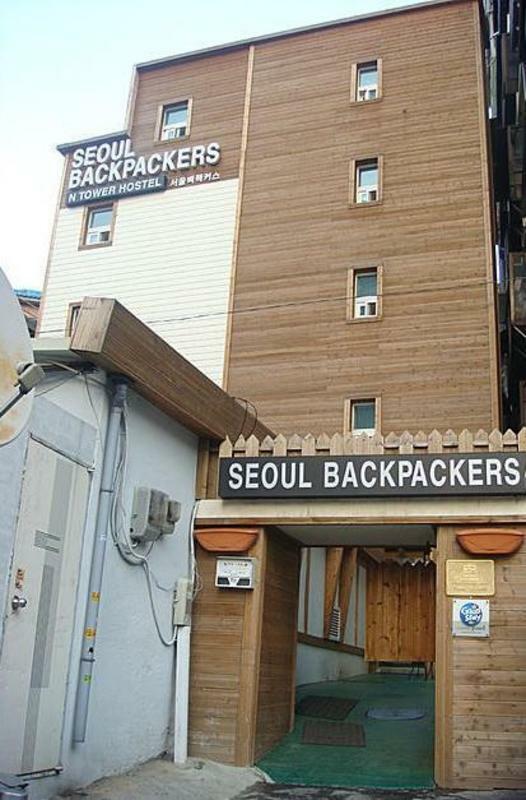 you will see a black signboard for the Seoul backpackers on your left.